Printing Presses, Packaging Equipment, Converting Machines, Security RFID, Smart Card Matik, Inc. Cold foiling technology adds metallic effects and value. Machines for producing RFID labels, tags and tickets, secure IDs and e-passports. 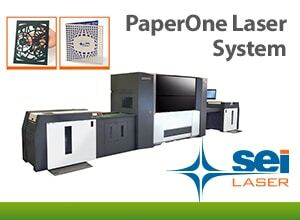 Laser systems designed for cutting, scoring and macro- and micro-perforation of labels, films, papers and cartons. 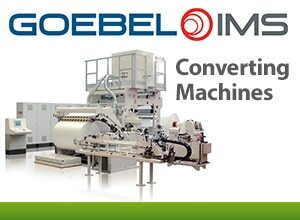 High-technology, narrow- and mid-web flexographic and digital printing presses and converting equipment. Sold and Serviced by Matik, Inc.
Matik Service provides factory-trained technicians who deliver preventative maintenance and integrated solutions for European equipment and machinery. 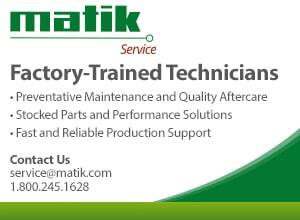 Matik’s expert staff offers quality inspection, diagnosis, repair and aftercare. 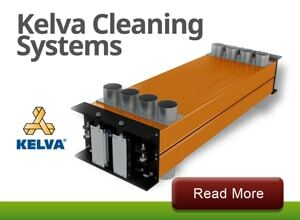 Technicians are available for immediate response by EMAIL or by calling 1-800-245-1628 or 860-232-2323. Many parts are in-stock at our Connecticut location. Matik Service is committed to prompt delivery and high-performance applications to help maintain optimum efficiency and productivity.